Even if it is not St. Patrick's Day kids will have fun learning with this number matching game. 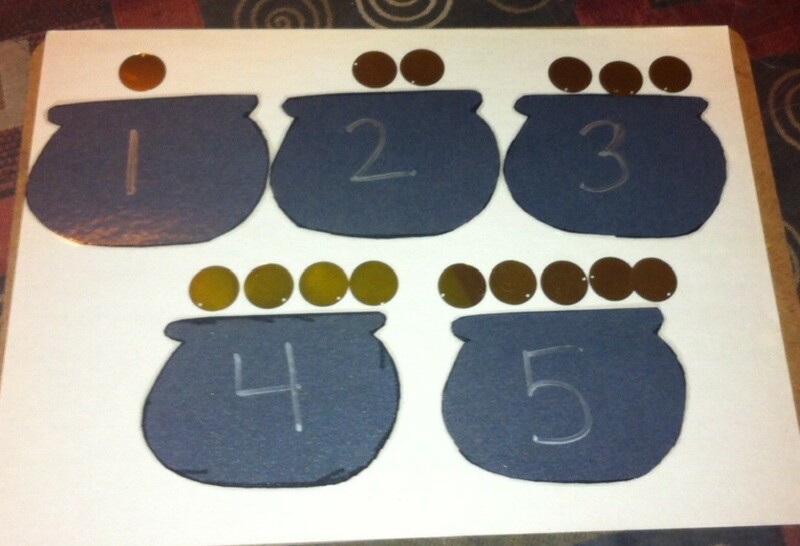 This guide is about how to make a pot of gold number matching game. If you need an easy St. Patrick's Day math activity, these pots of gold are an excellent choice. They don't take long to make and if you laminate them, they'll last for years. My pre-k students had so much fun with matching the gold pieces to the pots. I incorporated these into the math and quiet centers. You could also use them in small groups or one-on-one. 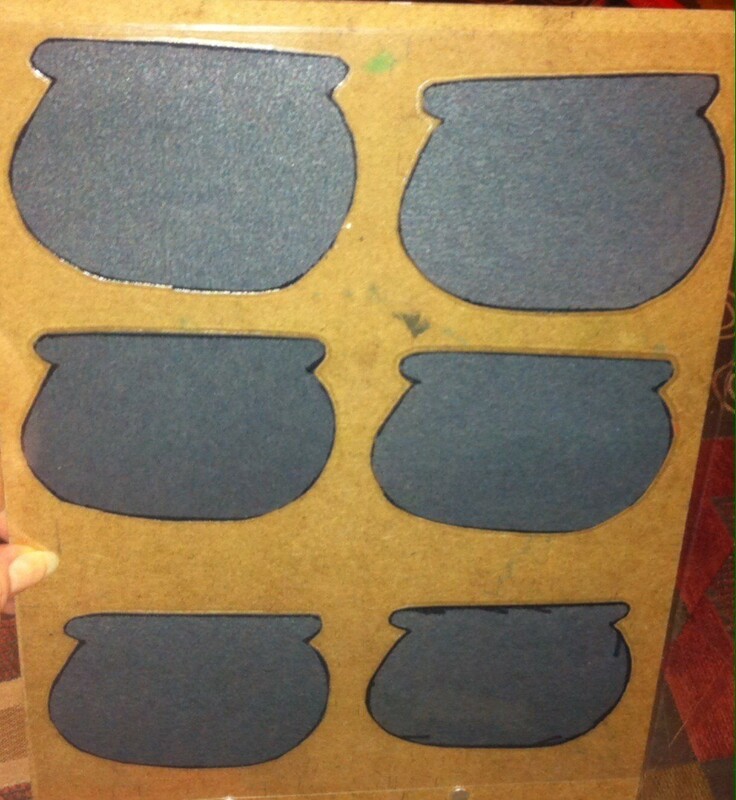 Draw 5 leprechaun pots on black construction paper with the black marker. 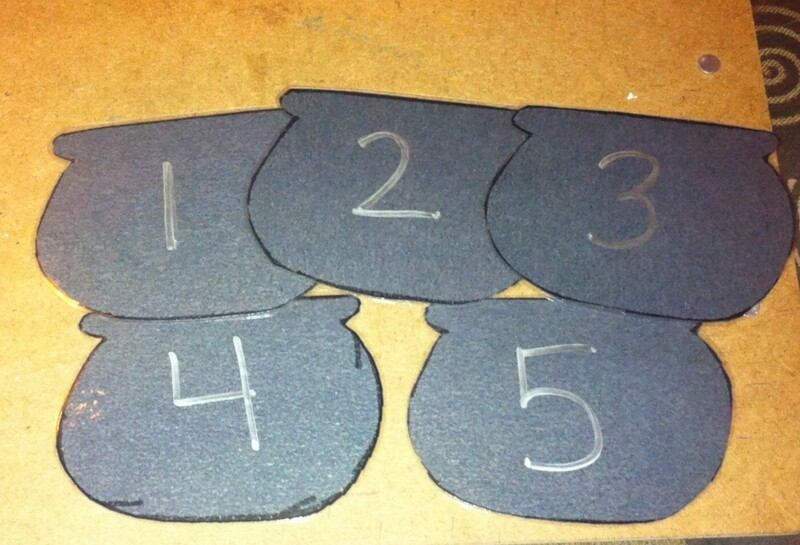 To make sure they were the same size, I drew the first pot, cut it out, and used it to trace the others. 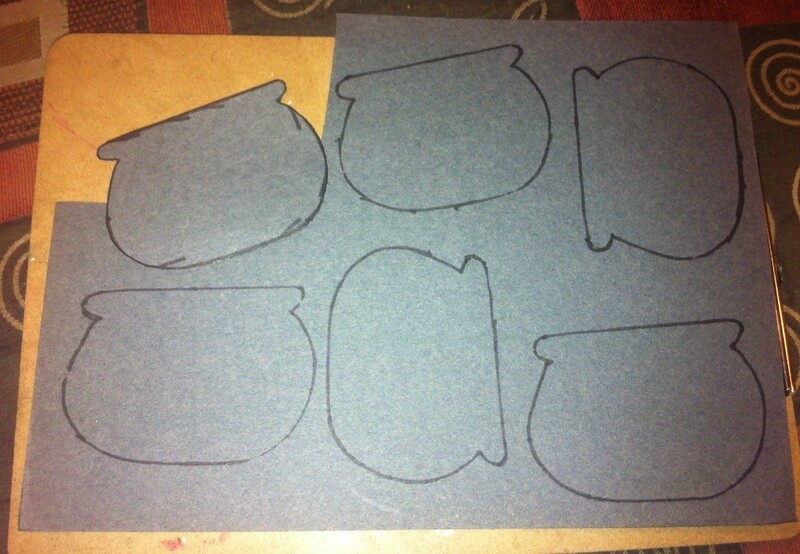 Cut out the pots and laminate them. Cut them out again. 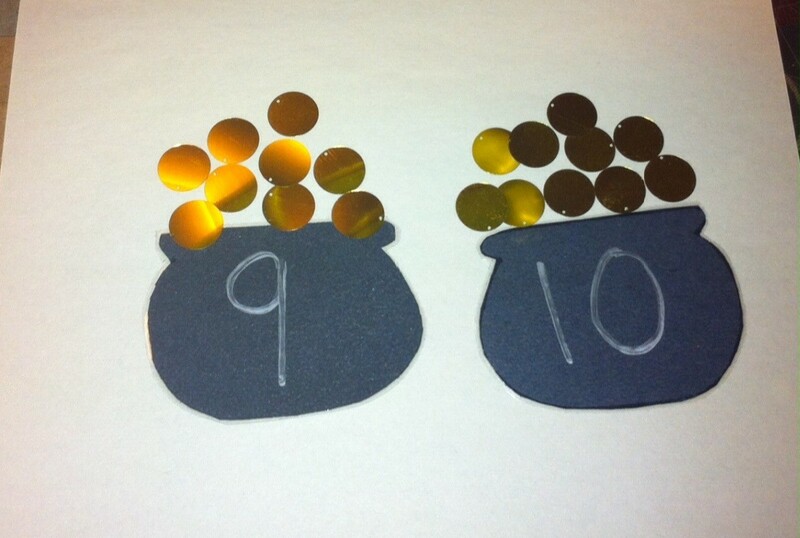 Add a number to each pot with a silver or gold marker. For pre-k you might use 1-5 to start. To do the activity, lay the pots on a flat surface, like table or student desk. 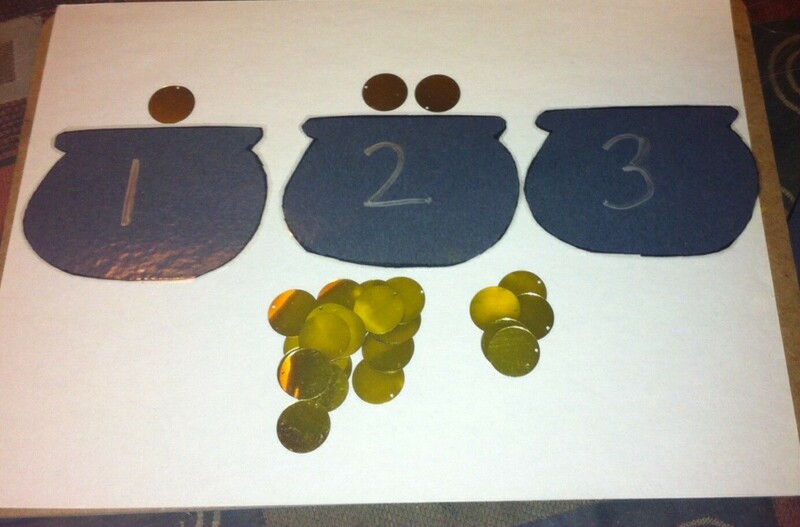 Add the correct amount of gold circles to each pot. 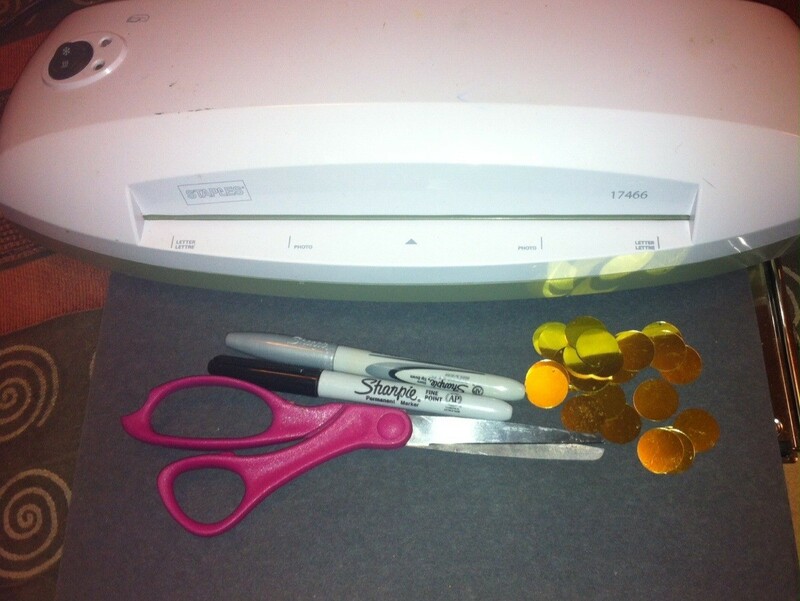 If you don't have the confetti, you can use pennies or yellow pom poms. And just FYI, I am only using this white paper as a better background for the pictures. When each child masters a number, you can erase the original with a paper towel and fingernail polish remover. Use the permanent marker to add the new number. You can also just flip the pots over and write different numbers on the back. Here is an example of numbers 9 & 10. With higher numbers, these start looking like "real" pots of gold! Or maybe it's just the glare from the flash. Ha-ha. Regardless, kids will have fun with this activity and learn something too!